Android is an open software operating system developed by Google. Over the years since its availability in the market, Android has become the most widely used mobile platform in the global market used by a wide range of mobile manufacturers. The android applications are available for the android device users at the Play Store- Android application Market- The android applications are created in the Java using the Android Software Development KIT- Android SDK. The Android developer should have the knowledge regarding the operating system and the programming skills to develop the applications to run on Android devices. 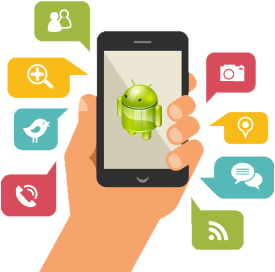 The following are the development tools available for developing Android applications. Native Development Kit (NDK)- Based on the basic programming languages like C, C++. The Libraries are written in these languages and hence the building of application, debug, and deployment has to be done manually by the developer. Android Open Accessory Development Kit- uses the Android device in accessory mode and is connected through USB to the device(Android USB Accessory) through which the programmer programs the Android Device. 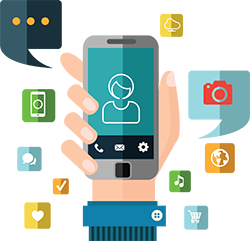 The Android Application Developer has the challenge to develop the most innovative application that is in much need for the Android user and that can be sold in the market. Let us know your requirement, goals and objectives and we will suggest you the best possibilities within your budget. We provide free consultation to you. © 2018 Hex Technologies Pvt Ltd. All Right Reserved.